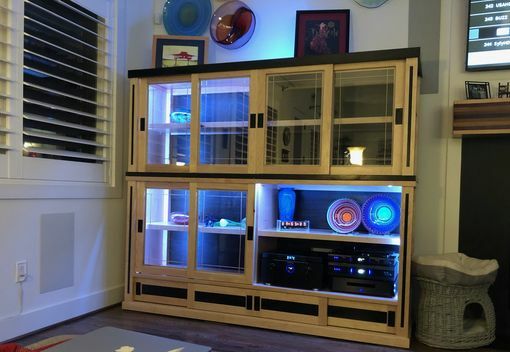 This customized Display Case was made for a client with 8/4 Solid Maple & Stained Tigerwood used for the main frame as well as in-laid Stained Tigerwood Accents. 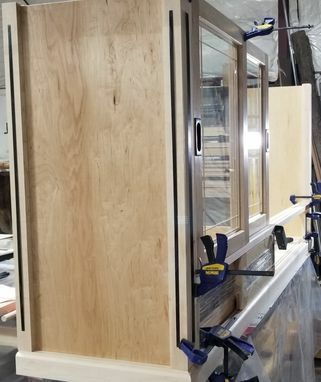 The Glass Doors were made here in our shop & Include Double Pane Glass with custom made Solid Maple Mullins (Grilles) to match the main case species. The Lower sliders have solid Stained Tigerwood center panels & All the Sliders utilize Euro Style Roller Systems. Solid Brass (in ORB) Emtek Recessed Pulls tie it all together for extra smooth/quiet operation. 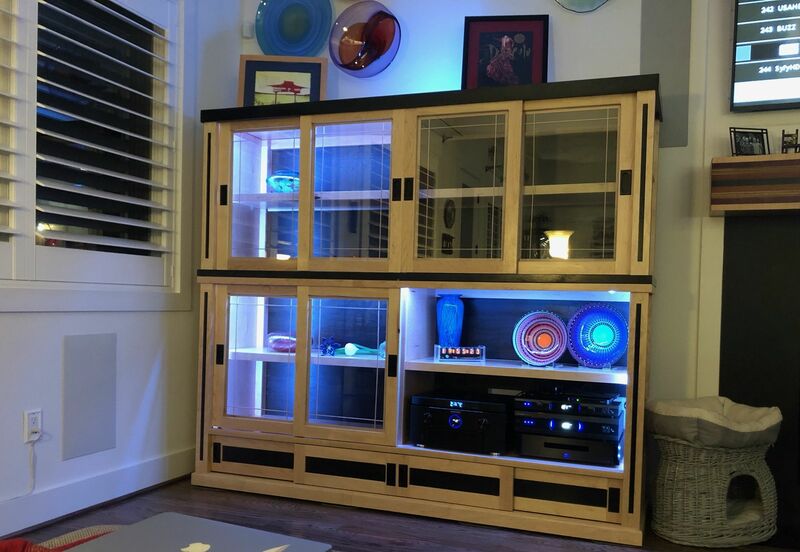 The LED's are remote controlled, color changing and intensity are as easy as a push of a button on remote or using a smartphone app or Alexa/Google. As with all of our pieces being custom made to order, this too can be customized to suit your needs, wants, décor, & wood species desired.